Koh Phangan is well-known amongst tourists and travelers as the destination of the world famous Full Moon Parties. In addition to these monthly events, Koh Phangan has also found its way to the hearts of travelers with the pure nature and interesting untouched jungles. This island in Thailand is like a paradise and one of the best ways to discover it is by hiking. Thailand’s nature truly is one of a kind, and you can experience it in Koh Phangan. The island has several different hiking routes to take on your own or with a local guide. You could of course trek around Thailand’s other islands and the mainland, but Koh Phangan is popular because of the untouched jungle. In addition, Khao Ra mountain gives you amazing views of the sea, nature, and beaches around the island. Do I need a guide for the hiking trip in Koh Phangan? Hiking in raw nature has its own dangers and so you should hire a local guide if you aren’t experienced in hiking and navigating. Small treks are easy to make on your own but for longer trips, a guide makes sure that you will see the most important attractions safely. Booking a guided tour is easy and you can make it easier after arriving in Thailand. Search for recommendations online or ask for help from your accommodation. They will know who you can trust. What trek should I pick? Koh Phangan has many interesting trails you should try out. Hiking up the Khao Ra mountain is one of the most popular options and after reaching the peak or any breath-taking viewpoint, you will know why. You can see everything from the mountain covered by jungle. Phaeng Waterfall National Park is another popular place full of easy trails and interesting sights. Like the name says, there is a waterfall in the area. It’s an amazing sight to see but those who are skilled hikers can continue to even smaller paths that go around the National Park. These are just the two most popular hiking options in Koh Phangan and you can find many more. You can always ask for help from the locals or from your accommodation. Most of the beaches in Koh Phangan are also connected by jungle paths. Use our website to plan your holiday on Koh Phangan. Plan your trip to see the famous Full Moon Party and go for a trek in the jungle before or after the party date (check dates here). Most accommodation requires you to stay for at least three nights so doing hiking and the party on the same trip is practical. 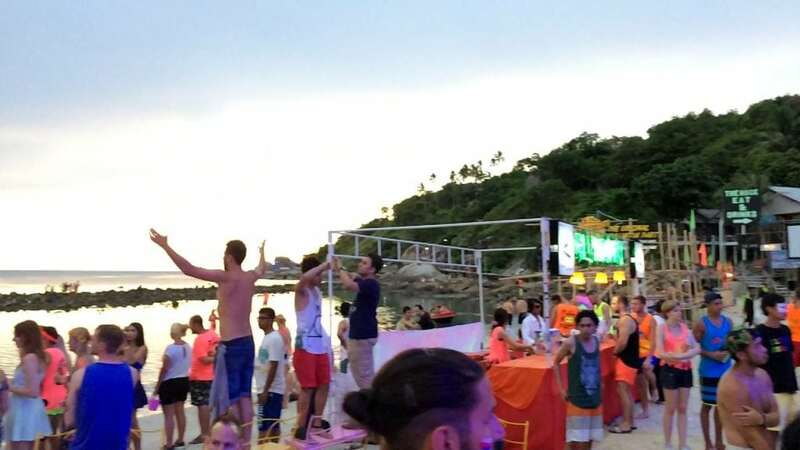 Read more about things to do on Koh Phangan or about the Full Moon Party from our travel guide.